Head over to the Steam Store to grab your copy of One Deck Dungeon and start exploring the dungeons! 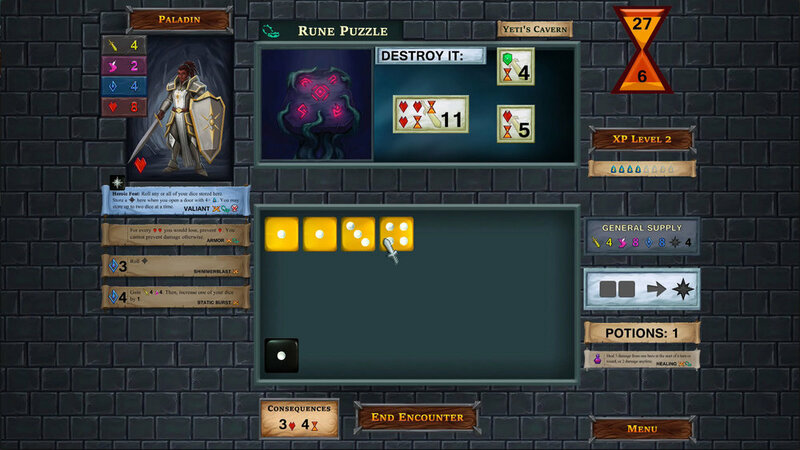 One Deck Dungeon is Handelabra’s latest collaboration on the digital tabletop. 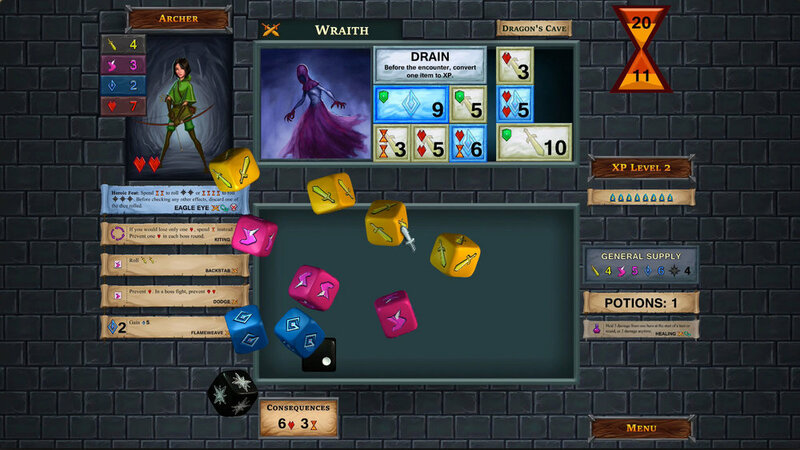 This hit roguelike adventure from Asmadi Games captures all the fun of a dungeon crawl in a single deck of cards and some colorful dice! 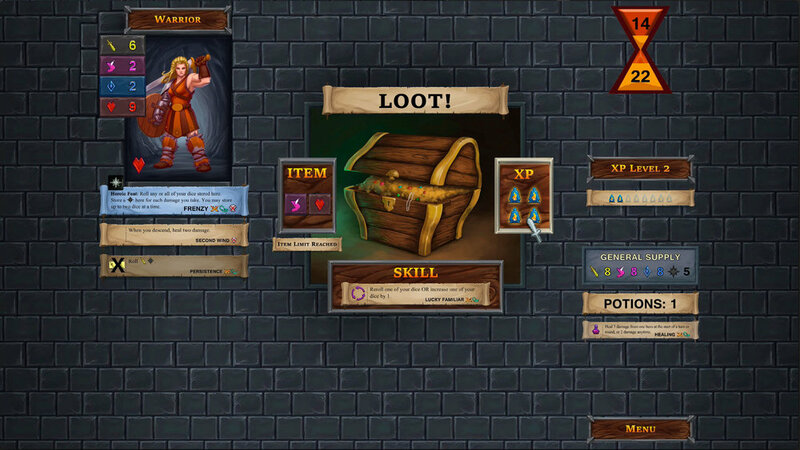 Shuffle the deck, then battle with monsters, claim your loot, and continue deeper until you defeat the boss. Steam Early Access is a way to play a game before its retail release. This means the game is still under active development. 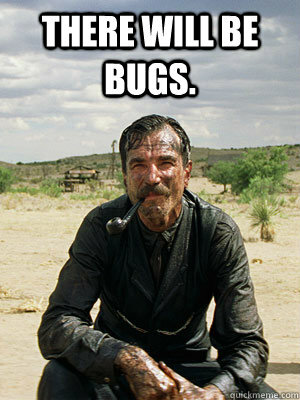 There will be bugs and there are major features still to be added before the retail release. 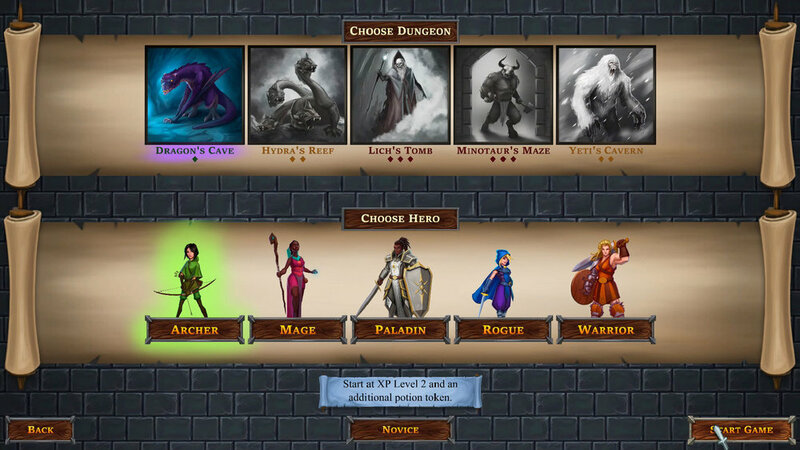 Having said that, the Early Access version is fully playable with the 5 heroes and 5 dungeons from the core game. Upcoming Early Access versions will add 2-hero parties, character progression, campaign mode, and other improvements. During Early Access the game will be available to the public at a premium price ($15 USD). When Early Access is over, the game will be released and its price will be $10 (USD). We expect the game to be in Early Access for 2-3 months. We’ll keep you posted here once we know the game is ready for retail release. 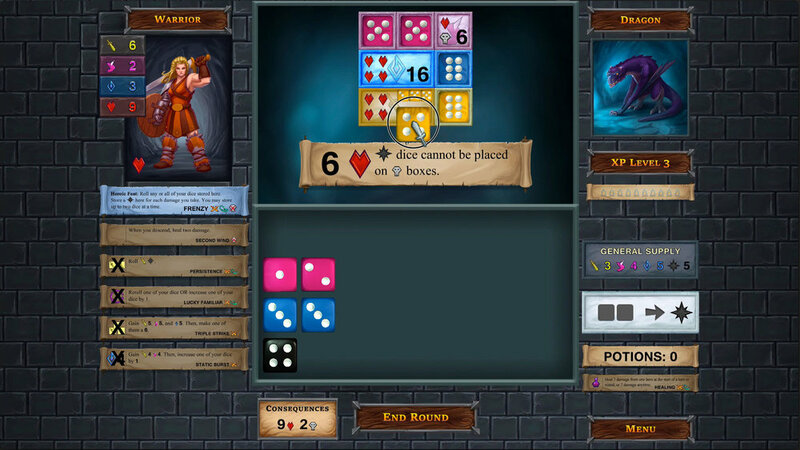 You can help us make One Deck Dungeon better by letting us know what you think! Post suggestions & bug reports to the Steam forum or use our contact form. Have fun in the dungeon and good luck on your adventures!